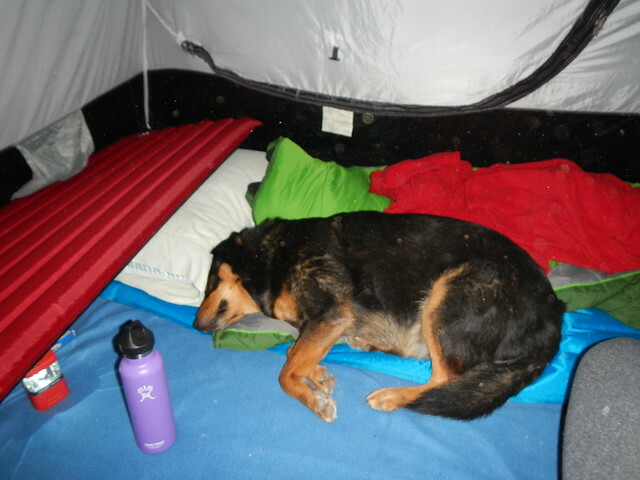 Waaayyy back in late March Mia was brilliant enough to book us a campsite at Lost Lake Campground for early August. She’d read that the sites booked super fast so the idea was to jump on it while the thought was hot. Well, total slam dunk on this one. We scored with an incredible weekend of hiking, camping, and being totally off the grid (no cell service, no facebook, no email, etc). From Hood River it is still about 40-45 minutes to get to Lost Lake and it is on some very winding forest service roads. A couple of the spots are tight when you have cars traveling in both directions too. We ended up with a walk in site in the “F” section of the campground. It had direct access to the lake and was very secluded. It was only 300-400 or so feet from the car to the campsite, but it did require a few trips back and forth to get all our stuff there. Not that big of a deal in the grand scheme of things. 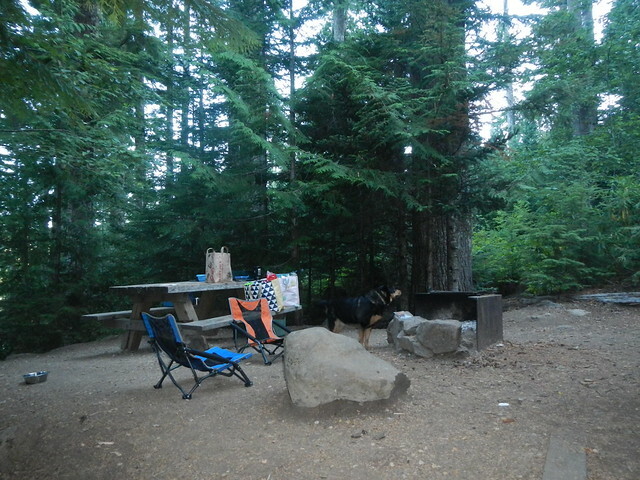 All of the walk in sites that were around us were setup as fire pit, picnic table up top. 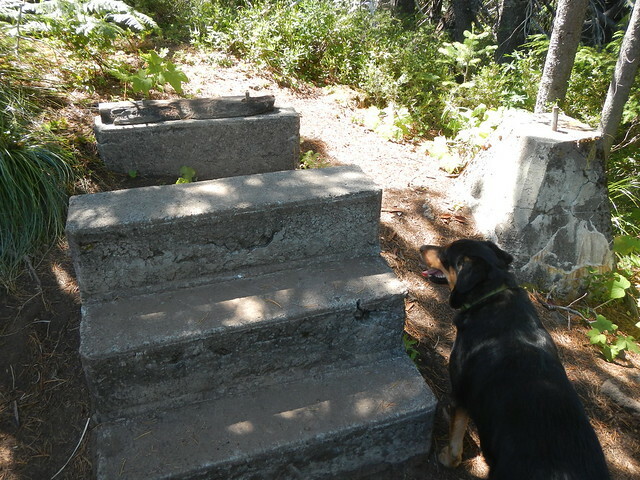 Then down a set of wooden stairs to usually 2 flat(ish) tent areas. 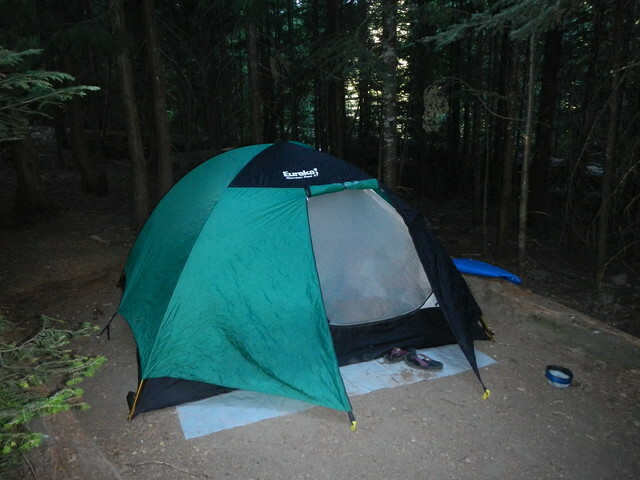 One of ours was a bit sloped, but the one we used was very well shaded by trees, which helped since we had some rain on Saturday night. It was roughly a 10 minute walk from our site to the camp store. 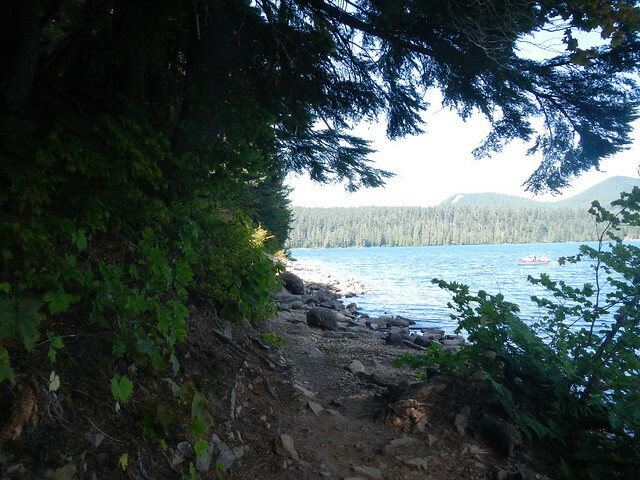 We also had direct access to the 3.4 mile trail around the lake and several nice spots to swim from. 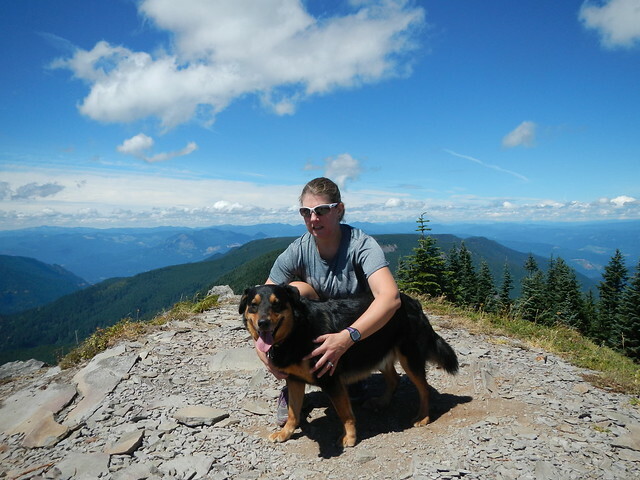 Friday’s goal was to hike up to Lost Lake Butte, a short 4 mile roundtrip with about 1100′ of elevation gain. 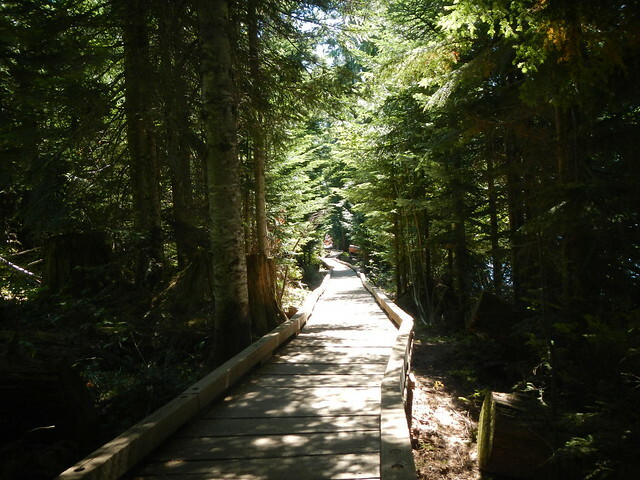 The trail leaves from right near the south day visitor parking area, and also from right behind the camp store. For my NH family and friends, it was faintly reminiscent of hiking Oak Hill in Concord, just more elevation and way better views. Heck there is even the remnants of a fire tower at the top, just like the still existing fire tower on Oak Hill. So yeah, the view is just a smidge better than Oak Hill. 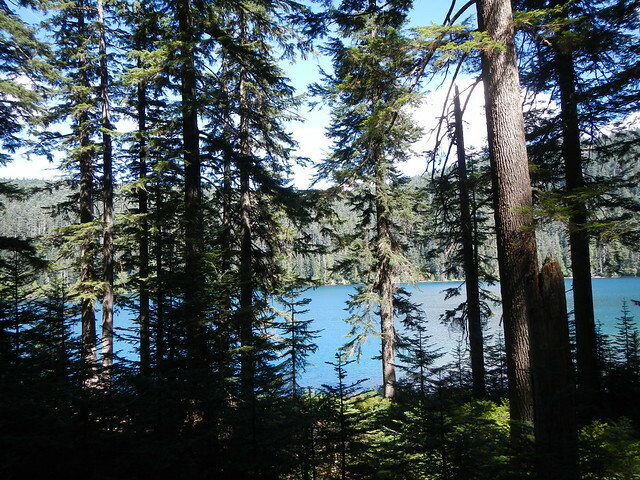 After we got back down and to the campground, we felt like doing a bit more……So we did the loop around the lake, a nice 3.4 mile hike with very little elevation change and some absolutely stunning views of Mt. Hood. 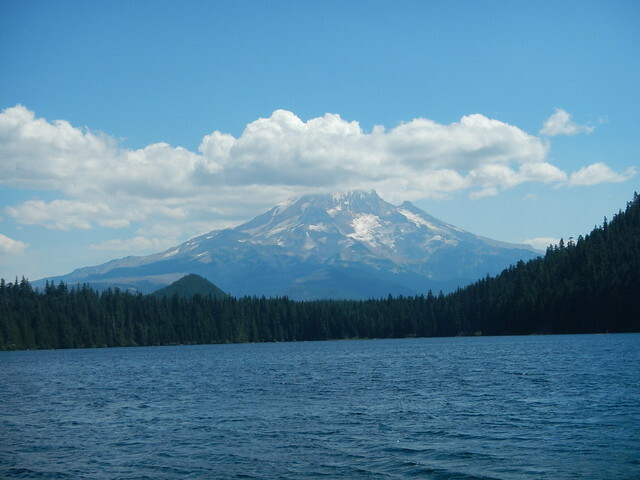 The million dollar views come from the trail near the camp store. It doesn’t take a genius to figure out why most of the day use area focuses on this end of the lake. It takes maybe 5-10 minutes of walking from the parking lot in the day use area to get a view like this. 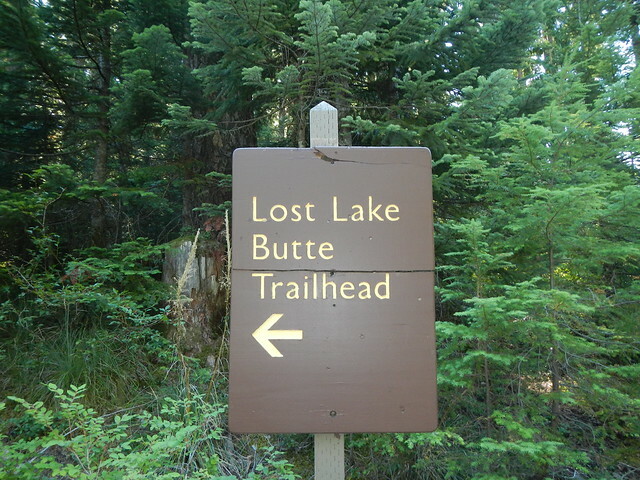 The Lost Lake Butte hike was like 40-45 minutes. 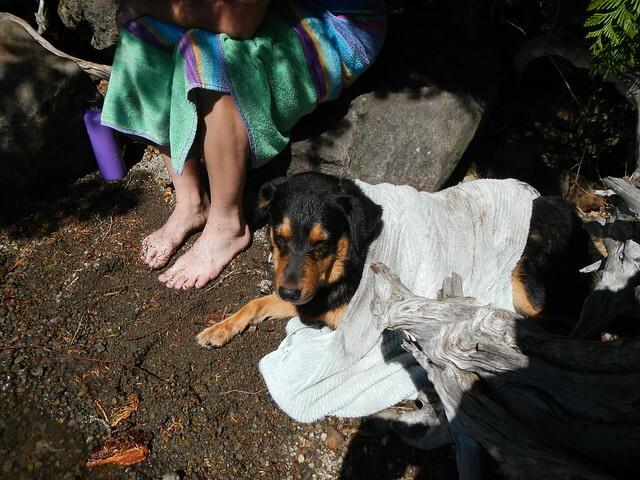 We meandered back to our campsite and decided it was a good time to cool off. 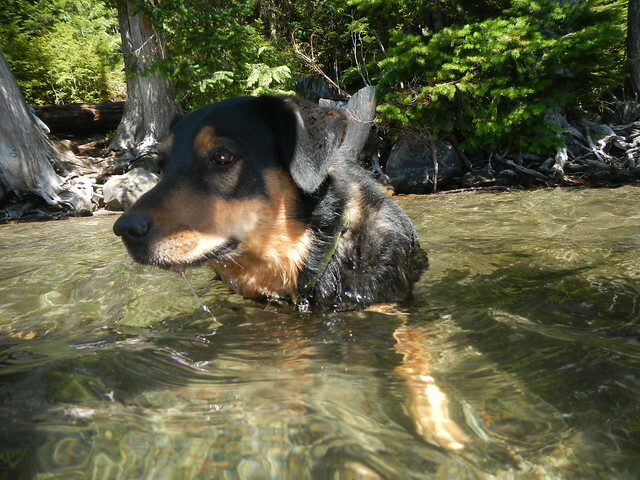 Mia, Codi and I had just hiked about 8 miles total and that calls for a nice dip. Especially for Codi. 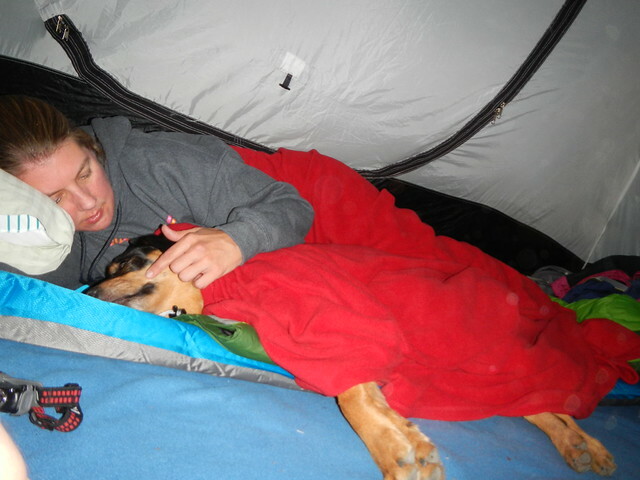 Even when we finally went to the tent to go to bed, Codi decided Mia didn’t really need her sleeping bag. That was okay though, it gave Mia a chance to cuddle with her favorite dog. 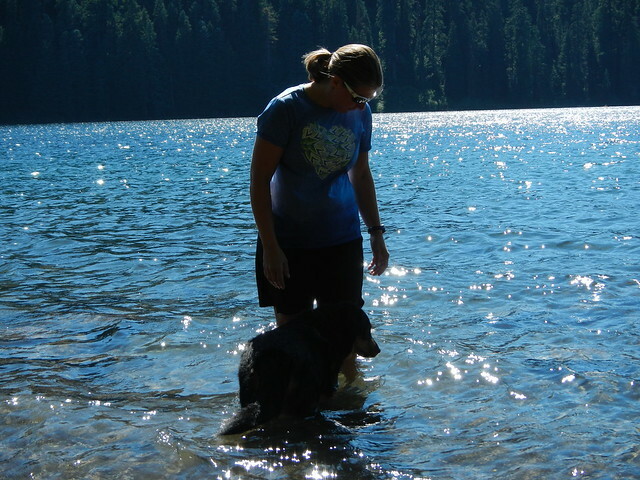 Saturday brought us the chance to go check out another remote area and hike Wahtum Lake. Another long journey on a forest road that was way more windy and beat up than the road to Lost Lake. 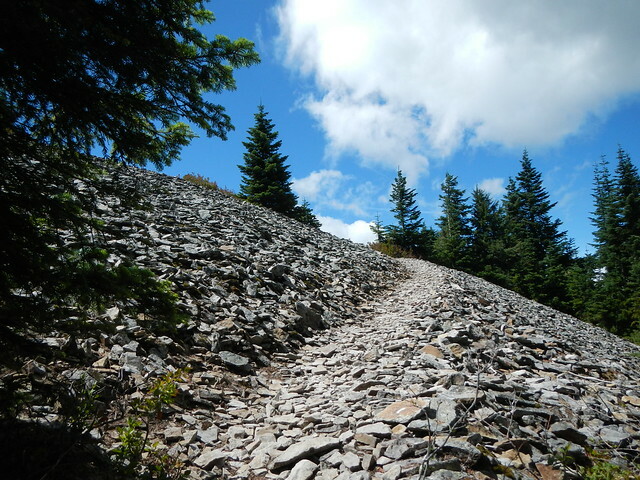 A couple rock slides and lots of blind corners led us to the trailhead. 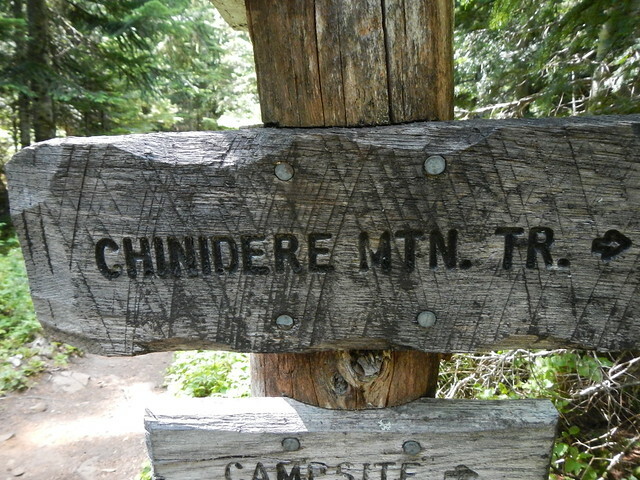 Our goal was Chinidere Mountain which was supposed to offer views of Mt. 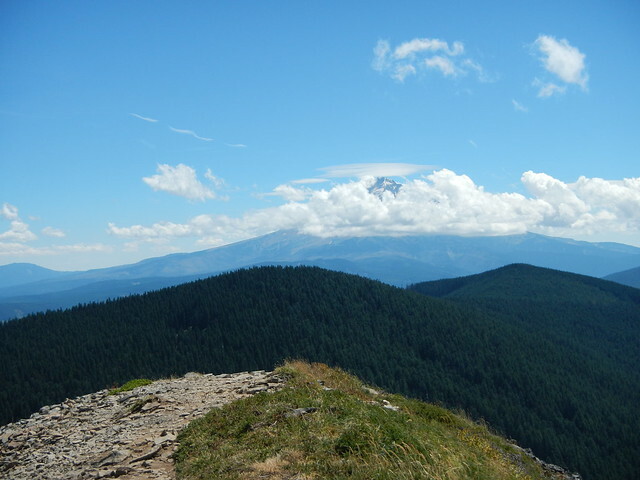 Hood, Rainier, Adams, Jefferson and St. Helens. The only one we couldn’t make out was St. Helens due to the clouds. The last few hundred feet even felt a bit like hiking in New Hampshire….rock, broken rocks and wind! 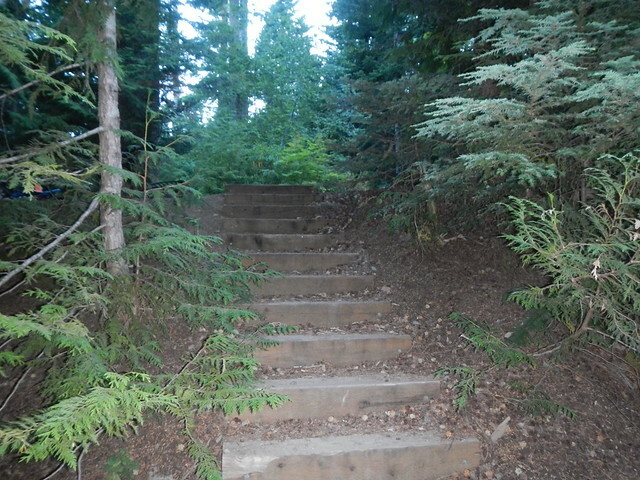 This is another not so long, but definitely steep towards the end, hike. 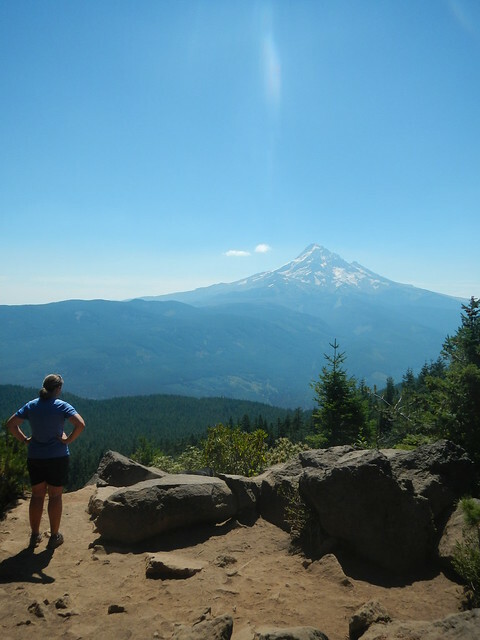 However you get rewarded with some of the best views I have gotten on a cascade hike so far. Right after this my camera battery died. No more pictures from this trip, only memories. Hands down this was a great way to spend 4 days. The journey from the Portland area is quite short. It would even be worth it for a day trip. 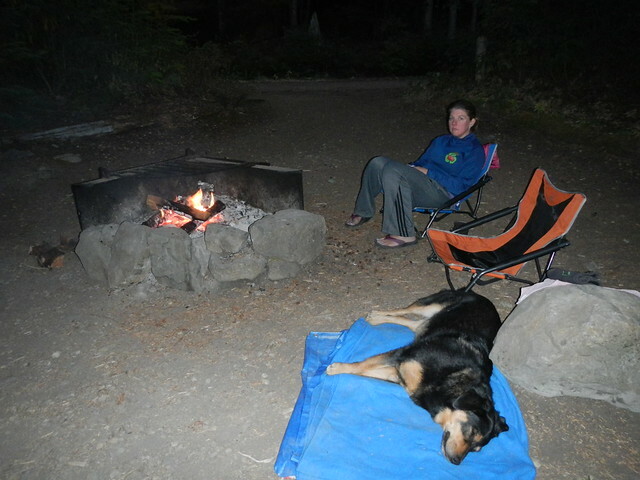 I think we both agree that we will be back to camp here again. There is still plenty to explore! All the pics can be found here.